After a three years absence, Little Richard hit the comeback trail on the 11th March 1970. That was when he began work on his new album The Rill Thing. This would be the first album the thirty-five year old rock ’n’ roller had released since Little Richard’s Greatest Hits: Recorded Live! in July 1967. It was his second and final album for Okeh. Ironically, Little Richard’s Greatest Hits: Recorded Live! was his first album to chart in ten years. The album reached 184 in the US Billboard 200 and twenty-eight in the US R&B charts. However, this was a far cry from Little Richard’s debut album. Here’s Little Richard was released in March 1957, on Speciality, and reached thirteen on the US Billboard 200. Since then, album after album failed to chart. It had also been a long time since Little Richard enjoyed a hit single. Twelve long years had passed since Little Richard enjoyed a top thirty single. Good Golly, Miss Molly had been released in January 1958, and reached number ten in the US Billboard 100. The followup Ooh! My Soul was released in May 1958, but reached just thirty-one on the US Billboard 100. After that, Little Richard’s singles never came close to troubling the top thirty. By the time Little Richard’s Greatest Hits: Recorded Live! was released in July 1967, music had changed beyond recognition. Despite this, Little Richard hadn’t changed. Some critics thought he was a relic of music’s past, and of little relevance to modern music. Given how important a part Little Richard had played in the birth of rock ’n’ roll, this must have been hard to take. Some saw it as tough love, After all, the psychedelic era was in full swing, and still, Little Richard kept playing the same songs he had played five and ten years previously. Something had to give. What nobody expected was for three years to pass without a new Little Richard album. That’s what happened. However, maybe that’s no surprise. By the mid-sixties, tongues were wagging about Little Richard There were allegations that he was drinking and smoking heavily. This was just the latest indiscretion in a controversial life. Little Richard’s had been arrested in 1962 for an act of voyeurism in Long Beach, California. This wasn’t the first time he had been arrested for a similar offence. The first time was when he was in his early twenties. That was before he became a he found fame and fortune as a rock ’n’ roll singer. His latest arrest must have caused untold damage to his reputation. Especially in America’s bible belt, where Little Richard would’ve hoped to sell copies of his new gospel album The King Of The Gospel Singers. It was released in March 1962, and was his third gospel album. The King Of The Gospel Singers proved to be Little Richard’s dalliance with gospel for some time. Little Richard returned to singing what had been called the devil’s music, rock ’n’ roll. That was the case until 1967. However, Little Richard was out of luck, and after his contract with Okeh expired, didn’t record and release an album for three years. Little Richard’s comeback album was The Rill Thing, which was released on Reprise in August 1970. The Rill Thing, The King Of Rock ’N’ Roll and The Second Coming were recently remastered and reissued as a two CD set by BGO Records. These three albums cover the period between 1970 and 1972, when Little Richard hit the comeback trail. Three years after recording Little Richard’s Greatest Hits: Recorded Live!, Little Richard began work on his comeback album. He had signed to Reprise Records, and they decided to send Little Richard to Rick Hall’s Fame Studios, in Muscle Shoals. Strangely, Little Richard had decided not hire Rick Hall to produce his comeback album. This seemed a strange move. After all, if anyone could get Little Richard’s career back on track, it was Rick Hall. He had worked with some of the biggest names in music, and had rejuvenated and transformed careers. However, Little Richard was confident in his own abilities, and was going to arrange and produce his comeback album, The Rill Thing. It was an album of cover versions and songs from the pen of Little Richard. Nine songs had been chosen for what became The Rill Thing. Little Richard had written Somebody Saw You and Rill Thing, using his real name Richard Wayne Penniman. He also wrote Freedom Blues with Esquerita. The pair then penned Dew Drop Inn with Keith Winslow. Spreadin’ Natta, What’s The Matter? was the final song Little Richard cowrote, this time, with Robert “Bumps” Blackwell and Maybelle Jackson. These Little Richard compositions were joined by four cover versions. This included Hank Williams’ Lovesick Blues and Lennon and McCartney’s I Saw Her Standing There. They joined Larry Lee’s Two-Time Loser and Travis Wammack and Albert Lowe Jr’s Greenwood, Mississippi. These songs, and the rest of the album, would be recorded in Fame Studios. When recording began at Fame Studios, Little Richard accompanied himself on piano on Freedom Blues, Dew Drop Inn and Rill Thing. Then for the rest of The Rill Thing, the band joined him. The band included a mixture of the Muscle Shoals Rhythm Section, and Little Richard’s band. Proving the heartbeat, was Muscle Shoals Rhythm Section drummer Roger Hawkins. He was joined in the rhythm section by Jesse Boyce on electric bass; plus bassists Jerry Masters and Eddie Fletcher and guitarists Albert Lowe and Travis Womack. They were augmented by pianist Clayton Ivey and a horn section. It featured trumpeter Harrison Callay, trombonist Charles Rose, baritone saxophonist Ronnie Eader and tenor saxophonists Wade Jackson and Harry Thompson. They accompanied Little Richard who not only played piano and added vocals, but took charge of arranging and production. After nearly three months of recording, Little Richard and his band completed The Rill Thing on the 2nd of June 1970. Now his comeback could begin in earnest. 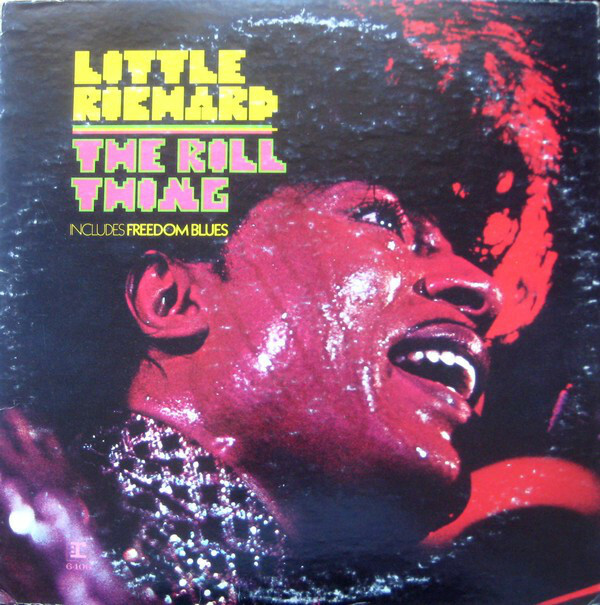 With Little Richard having recorded The Rill Thing, Reprise Records scheduled the release of the album for August 1970. This left just two months to promote Little Richard’s comeback album. By then, Freedom Blues had been released as a single in April 1970. It reached number forty-seven in the US Billboard 100 and twenty-eight in the US R&B charts. This made Freedom Blues Little Richard’s most successful single for twelve years. Critics and record butters awaited the release of Little Richard’s comeback album with interest. The only albums that had been released while Little Richard had been away, were repackaged compilations of songs. What critics, and indeed record buyers wanted, was a new album from Little Richard. Especially if it offered something new. The Rill Thing certainly did. On The Rill Thing, Little Richard’s music heads in a new direction, swamp rock. With this multitalented band for company, Little Richard set about reinventing himself. To do this, they combine elements of blues, funk, jazz, R&B and rock. The result was a much more contemporary sounding album. This was what he should’ve done years ago. It was a case of better late than never. Freedom Blues was a taste of what was to come as a reinvigorated Little Richard hit the comeback trail. He strutted his way through Greenwood, Mississippi and Two-Time Loser. Then on Dew Drop Inn and Somebody Saw You, Little Richard accompanied by blazing horns, rolls back the years. All the time though, Roger Hawkins metronomic drums never miss a beat. It’s an impressive sound. The same can be said, when Little Richard kicks loose on Spreadin’ Natta, What’s The Matter? He pounds and punishes the piano, and delivers a powerhouse of a vocal. The Rill Thing finds Little Richard and his band jamming, combing funk, jazz and rock on a languid, laid back jam. Lovesick Blues finds Little Richard and his piano taking centre-stage, on a track that’s a tantalising taste of what he was still capable of. He then closes The Rill Thing with his inimitable cover of I Saw Her Standing There. Horns play a leading role, on a barnstorming cover, before Little Richard bids his audience farewell. Critics and record buyers who had longed for Little Richard to reinvent himself were richly rewarded. The music was full of energy and excitement, and was a reminder why Little Richard was once vied for the title of The King Of Rock ’N’ Roll. With a multitalented band for company, Little Richard had recorded his best album in many a long year. Many critics thought this was a new beginning for Little Richard? Despite the positive reviews, when The Rill Thing was released in August 1970, it failed to chart. That’s despite selling over 200,00 copies. However, Little Richard enjoyed a minor hit single. When Greenwood, Mississippi was released, it stalled at just number eighty-five in the US Billboard 100 in 1970. However, with an album that sold over 200,000 copies and two hit singles, The Rill Thing had launched Little Richard’s comeback. Now he had to build upon The Rill Thing. Maybe, The Rill Thing was the Second Coming Of The King Of Rock ’N’ Roll? The King Of Rock ’N’ Roll. After Little Richard’s comeback album, The Rill Thing, the man who once vied for the title The King Of Rock ’N’ Roll, began to think about the followup. Surely, Little Richard would make the return journey to Fame Studios, and hookup with the same band? He didn’t. Instead, Little Richard hooked up with producer H. B. Barnum, to record what was an eclectic album. Despite selling 200,000 copies of The Rill Thing, Little Richard turned his back on swamp rock. This was a disappointment for his fans who liked the swamp rock sound of The Rill Thing. However, this wasn’t the only change Little Richard made. Whereas he wrote much of The Rill Thing, Little Richard only wrote In The Name and arranged the traditional song Midnight Special. These songs were joined by nine cover versions. Among them, were two which producer H. B. Barnum cowrote. He penned King Of Rock ‘N’ Roll with Bradford Craig and Green Power with John Anderson. They were joined by Hoyt Axton’s Joy To The World; Keith Richards and Mick Jagger’s Brown Sugar; Hank Williams’ I’m So Lonesome I Could Cry; Ed G. Nelson and Fred Rose’s Settin’ The Woods On Fire and John Fogerty’s Born On The Bayou. The other two songs came from the Motown songbook, including Marvin Gaye and William “Mickey” Stevenson’s Dancing In The Street. It was joined by Robert Rodgers and William “Smokey” Robinson’s The Way You Do the Things You Do. This eclectic collection of songs would become the followup to The Rill Thing. Recording of The King Of Rock ‘N’ Roll began at the Record Plant, Los Angeles, on 25th of May 1971. Little Richard played electric piano and added his vocals. Behind him, the band covered songs by Hank Williams, The Temptations, Martha and the Vandellas, Three Dog Night and The Rolling Stones. Many of these songs seemed a strange choice for Little Richard. However, he and producer H. B. Barnum reworked the songs, and sometimes, took them in unexpected directions. The jump blues of of the title-track opens The King Of Rock ‘N’ Roll, and finds Little Richard referencing everyone from Elvis Presley to Sly Stone and even Tom Jones. It’s a dramatic and explosive taste of what Little Richard has in store. Was this the Second Coming of The King Of Rock ‘N’ Roll? Joy To The World is a slow burner, where Little Richard transforms the song with the help of gospel-tinged backing vocalists. They return and play an important part on Brown Sugar, which in Little Richard’s hands, is reinvented, becoming a driving fusion of rock and R&B. In The Name marks a change in direction, as Little Richard heads in the direction of gospel rock. Then on Dancing In The Street, Little Richard kicks loose, vamping and testifying his way through a joyous take on this familiar song. Midnight Special appears to be slow burner, as Little Richard delivers a soulful vocal. Soon, he’s whooping and hollering, as he launches into driving fusion of R&B, rock and soul. Backing vocalists and horns play their part in the song’s sound and success. They return on The Way You Do The Things You Do, as the song is reworked by Little Richard. Soon, though, it’s all change. One of the finest cover versions, is a soulful cover of Hank Williams’ I’m So Lonesome I Could Cry. Then Little Richard rings the changes. He delivers a driving and energetic version of Settin’ The Woods On Fire. It’s a return to his old, familiar sound. Born On The Bayou, the album closer, finds Little Richard vamping, before he unleashes a vocal powerhouse. He sings call and response with the backing vocalists, while horns rasp on song that sounds as of it was Born On The Bayou. It’s part of a truly eclectic album, The King Of Rock ‘N’ Roll. Despite The King Of Rock ‘N’ Roll’s eclecticism, not all critics were won over by the album. Reviews were mixed. Some critics liked the album, and felt that Little Richard was on the right road. Other critics, including the ever contrarian Rolling Stone magazine weren’t impressed by The King Of Rock ‘N’ Roll. They were the biggest critics of the album. Their criticisms included the way the album had been mixed; the album was under produced; the music was too commercial and Little Richard’s decision to eschew his trusty acoustic piano. However, the times they were a changing, and so was Little Richard. He was determined to return to the album charts. And so he did. When The King Of Rock ‘N’ Roll was released in October 1971, the album sneaked into the US Billboard at 193. That was as good as it got. Neither of the singles, Green Power which was released in October 1971, nor Dancing in the Streets, which was released in December 1971 charted. However, at least The King Of Rock ‘N’ Roll had charted. This gave Little Richard something to build on. Maybe Little Richard’s luck was changing? It wasn’t. Around the time Little Richard recorded The King Of Rock ‘N’ Roll, it’s thought that he began taking cocaine. This would eventually cost Little Richard $1,000 a day. Before that, Little Richard had another album to record, Second Coming. By the time Little Richard’s thoughts turned to his new album, his profile was higher than it had been for years. He was a familiar face on American television. Little Richard was also collaborating with a new generation of artists. Over the last couple of years, Little Richard had recorded Miss Ann with Bonnie and Delaney, for their fourth album To Bonnie From Delaney. It was released in September 1970. Joey Covington of The Jefferson Airplane and Hot Tuna was keen to record with Little Richard, and the pair cut a Bludgeon Of A Bluecoat (The Man). Alas, the song was never released. Little Richard’s duet with Mylon LeFevre on He’s Not Just A Soldier. It found his way onto his 1972 album Over The Influence. The calls kept coming Little Richard’s way. He was asked to record But I Try with The James Gang. Just like the song Little Richard cut with Joey Covington, the collaboration with The James Gang was never released. Another group that recorded with Little Richard, were Canned Heat. They recorded Rockin’ With The King in late 1971. Little Richard was busier, than ever, and even recorded two songs for a soundtrack. However, as 1972 dawned, Little Richard’s thoughts turned to his new album. 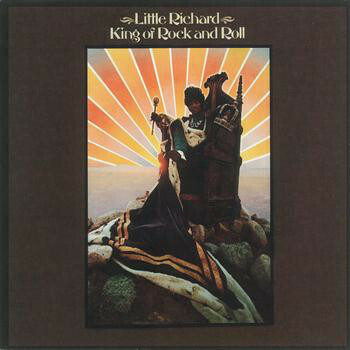 For his third album for Reprise Records, Little Richard was reunited Robert “Bumps” Blackwell. He wrote song for, and produced Little Richard during the time he was signed to Speciality. These were Little Richard’s glory days, and Robert “Bumps” Blackwell had played an important part in the rise and rise of Little Richard. However, could Robert “Bumps” Blackwell do so again, and lead Little Richard into the promised land of commercial success and critical acclaim? Unlike The King Of Rock ‘N’ Roll, Little Richard wrote most of the songs on The Second Coming. This was an apt title, given it was The Second Coming of the Robert “Bumps” Blackwell and Little Richard partnership. Little Richard wrote Mockingbird Sally, The Saints, Prophet of Peace and Sanctified, Satisfied Toe-Tapper. He cowrote Second Line with Robert “Bumps” Blackwell; It Ain’t What You Do, It’s The Way How You Do It with Pete Kleinman; Rockin’ Rockin’ Boogie with Seabrun Hunter and Thomasine with Maybelle Jackson. The only song Little Richard played no part in, was Nuki Suki with Bill Hemmons wrote. He was part of Little Richard’s band when recording of The Second Coming began. For the recording of Second Coming, Little Richard and Robert “Bumps” Blackwell who co-produced the album, had put together a band featuring some two generations of top session players. Some were from the fifties, while others would make their name during the seventies. They headed to the Record Plant, Los Angeles, where The King Of Rock ‘N’ Roll had been recorded. When recording began on the 27th March 1972, the rhythm section featured drummer Earl Palmer, bassist Chuck Rainey and guitarists Mike Deasey, George Davis, Adolph Jacobs and David T. Walker. They were joined by Sneaky Pete Kleinow on pedal steel guitar, baritone saxophonist Bill Horn and tenor saxophonistsLee Allen and Bill Hemmons. Little Richards played piano, added vocals and lead the band. By the 12th of April 1972, Second Coming was complete. The album had been recorded in just sixteen days. Second Coming was scheduled for release in September 1972. With Little Richard and Robert “Bumps” Blackwell reuniting for Second Coming, it was an exciting prospect for critics and fans alike. Eventually, critics received their advance copy of Second Coming, and at last were able to decide whether the album was the Second Coming of The King Of Rock ‘N’ Roll. Mockingbird Sally explodes into life, and open Second Coming. It’s powered along by the piano and rhythm section while horns augment, a vampish, powerhouse of a vocal. It’s a reminder of Little Richard’s glory days. Second Line finds Little Richard vamping, while his band combine R&B, funk and jazz. There’s no letup on It Ain’t What You Do, It’s The Way How You Do It. Again, Little Richard combines power and soul, before he and his band showcase their considerable skills. Seamlessly, two generations of musicians unite. It’s a similar case on The Saints. Although it’s credited to Little Richard, the song has been inspired by When The Saints Go Marching In. It’s given a makeover, as jazz, funk and R&B are combined by this Little Richard and his tight, talented band. Nuki Suki is a similar to The Saints, and features another musical masterclass by the band. Again, they fuse jazz, funk and R&B as Little Richard, ever the showman vamps his way through this Bill Hemmon composition. Then on Rockin’ Rockin’ Boogie, Little Richard unleashes some boogie woogie piano, and a vocal that’s a mixture of raw power and enthusiasm. He’s always in control though, as he pounds his piano, that drives the arrangement along. Soon though, Little Richard rings the changes. Prophet Of Peace has a much more contemporary sound. 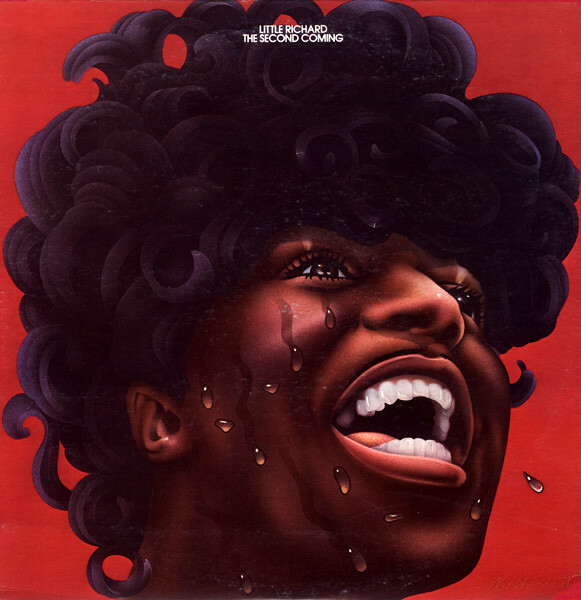 Funky describes the introduction, before Little Richard’s band combine blues and rock. Meanwhile eschews power for a soliloquy, on one of Second Coming’s highlights. On Thomasine, Little Richard’s hurt-filled vocal sits atop the rhythm section and horns. They drive the funky arrangement along, while Little Richard lays bare his hurt for all to hear. Sanctified, Satisfied Toe-Tapper closes Second Coming. and is a truly irresistible track where funk and R&B combine with soul jazz and boogie woogie on this epic jam. It seems Little Richard has kept the best until last. Critics agreed. The Second Coming won the approval of most critics, and it looked as if the renewal of the Little Richard and Robert “Bumps” Blackwell had worked. Critics were won over by Second Coming, which mixed elements of Little Richard’s old sound with a new, funkier, contemporary sound. However, how would record buyers respond when Little Richard released The Second Coming? Sadly, when The Second Coming was released in September 1972, the album never troubled the charts. By then, Little Richard felt that his three Reprise Records’ albums hadn’t been promoted sufficiently. It was a frustrating time for him. Adding to Little Richard’s frustrations, was the commercial failure of Mockingbird Sally. It was released in November 1972, but failed to chart. For Little Richard, this marked the beginning of the end of his time at Reprise Records. Although Little Richard recorded one further album for Reprise Records, Southern Child was shelved and never released until 2005. 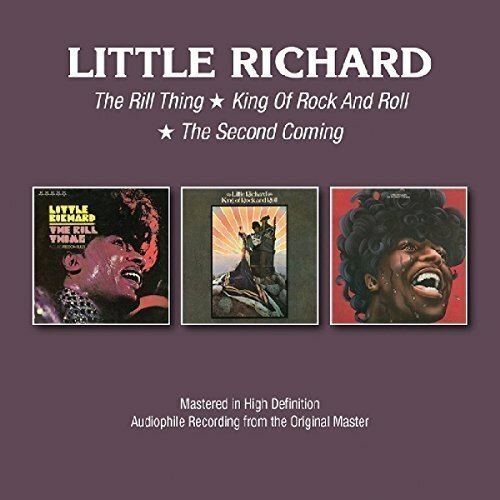 The Second Coming proved to be the last album Little Richard released for Reprise Records. At least Little Richard’s Reprise Records’ swan-song was an album to be proud of. The renewal of the Little Richard and Robert “Bumps” Blackwell partnership resulted in an album that found Little Richard at his enthusiastic and energetic best. If more time and money had been spent promoting the album, maybe just maybe, Little Richard would’ve returned to the US Billboard 200 and surpassed the success of The King Of Rock ‘N’ Roll? Second Coming was an album that deserved to fare better than it did. Alas, it failed commercially, and to all intents and purposes ended Little Richard’s time at Reprise Records. Sadly, this period of his career is often overlooked. That’s a great shame, as The Rill Thing marked a welcome return to form from Little Richard as he headed in the direction of swamp rock. Record buyers recognised that the man who was once regarded as The King Of Rock ‘N’ Roll was back, with one of his finest albums in many a year. Over 200,000 copies of The Rill Thing were sold. This wasn’t enough to trouble the charts. A year later, The King Of Rock ‘N’ Roll managed to sell enough copies to sneak into the lower reaches of the charts. The King Of Rock ‘N’ Roll had been produced by H.B. Barnum, and is an underrated album, that features some memorable moments from Little Richards. He revisited his musical past, and combined this with the music of the early seventies. Little Richard was catering to old and new fans alike on The King Of Rock ‘N’ Roll. However, on The Second Coming he bowed out in style. Little Richard and Robert “Bumps” Blackwell combined to create an album that rivals The Rill Thing. It’s a close run thing, with The Rill Thing proving a slightly stronger album. These albums are the best that Little Richard had released in a long time. Sadly, The Rill Thing, The King Of Rock ‘N’ Roll and Second Coming never found the audience they deserve. Now BGO Records have remastered and reissued The Rill Thing, The King Of Rock ‘N’ Roll and Second Coming as a two CD set. This is a very welcome reissue, and one that’s a reminder of The Second Coming Of Little Richard who was The Rill Thing, and many thought, was The King Of Rock ‘N’ Roll.